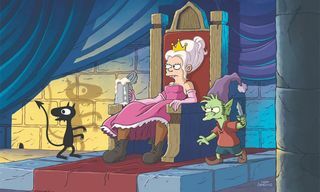 The critic reviews for Netflix’s new animated show Disenchantment are in, and the verdict is not as overwhelmingly positive as you might expect for a series hailing from the mind of The Simpsons and Futurama creator, Matt Groening. 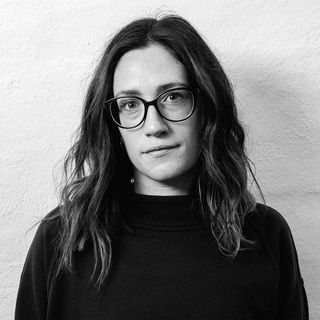 Set in the fictional (and misleadingly named) Dreamland, the series revolves around an alcoholic, medieval princess called Bean (Abbi Jacobson) as she traverses the land trying to find herself after ditching her prince at the altar. With a Futurama-esque aesthetic, the trailer seemed to promise a sure-fire hit, automatically placing it beside other Netflix favorites like of Rick and Morty and Bojack Horseman. 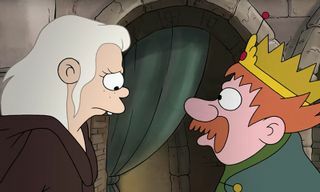 And while that might be the case for some— critic reviews don’t necessarily correlate with audience enjoyment — others still think there’s some way to go until Groening’s Disenchantment really finds its footing. Here’s what the critics are saying. “Unfortunately, the jokes don’t fare quite so well. 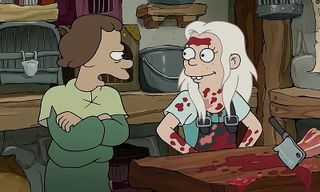 Simply put, Disenchantment isn’t hugely funny. The average episode inspires more chuckling than outright laughter. 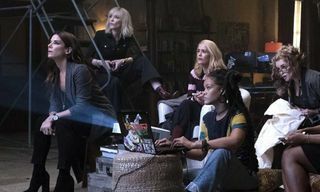 It’s hard to pin down why, but it’s certainly nothing to do with the cast. 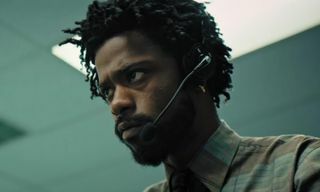 I’m lukewarm on Nat Faxon as Elfo (sorry, Mr. Faxon), but Abbi Jacobson and Eric Andre are amazing in their roles and the rest of the cast is stellar from top to bottom, filled out mostly by Futurama and The Mighty Boosh alum (Matt Berry, sadly, is only sporadically involved). 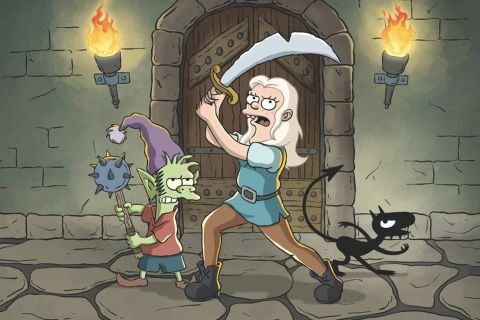 Are you still hyped for Disenchantment? Let us know how you feel in the comments.